Desirable qualifications ( वांछनीय योग्यता ) : Expertise in techniques required to study the biomolecules relevant to the project. 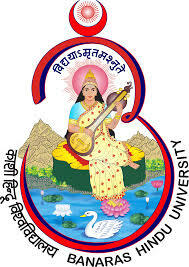 How to apply for BHU vacancy ( आवेदन कैसे करे ) : Application on plain paper giving name, permanent and correspondence address, names of father and mother, telephone no. and e-mail address (if available), details of educational career (starting from High School or equivalent) along with attested copies of all the mark-sheets and certificates, and details of research experience etc should reach the undersigned within 21 days of the advertisement on the address: Prof. Rajiva Raman, Cytogenetics Laboratory, Department of Zoology, Banaras Hindu University, Varanasi221005 (e-mail: rajiva.raman@gmail.com). The candidates may apply through e-mail also. No TA/DA is admissible, if called for interview. General instructions ( सामान्य निर्देश ) : The maximum age limit is relaxable by 5 years for female/SC/ST and physically handicapped candidates.